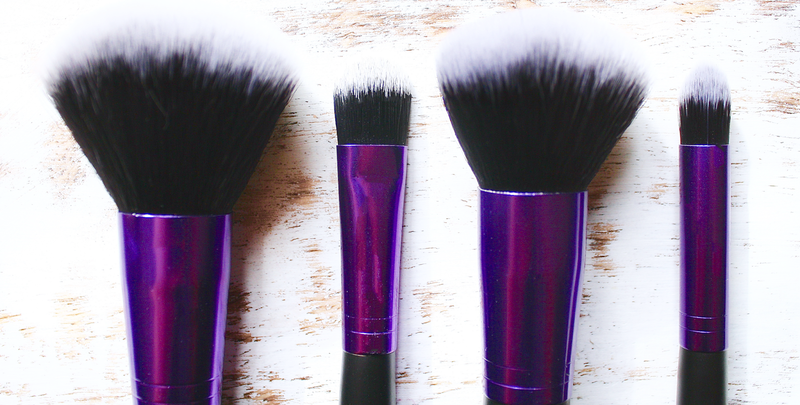 Something that a beauty blogger can never have enough of has to be makeup brushes. When I was recently given the opportunity to try out BrushWorks' Mini Brush Set*, of course I rose to the chance. I personally find that makeup brushes are something I just cannot get by without during my day-to-day makeup routine; most mornings, I am applying my makeup in somewhat of a rush, and frankly don't have time to use a beauty blender to perfect my foundation and concealer. Makeup brushes just speed things up for me and the more of them in my collection, the merrier. The BrushWorks brush set that I received retails at £12.99, which is highly affordable in my opinion in comparison to a lot of other makeup brush brands on the market at the moment. 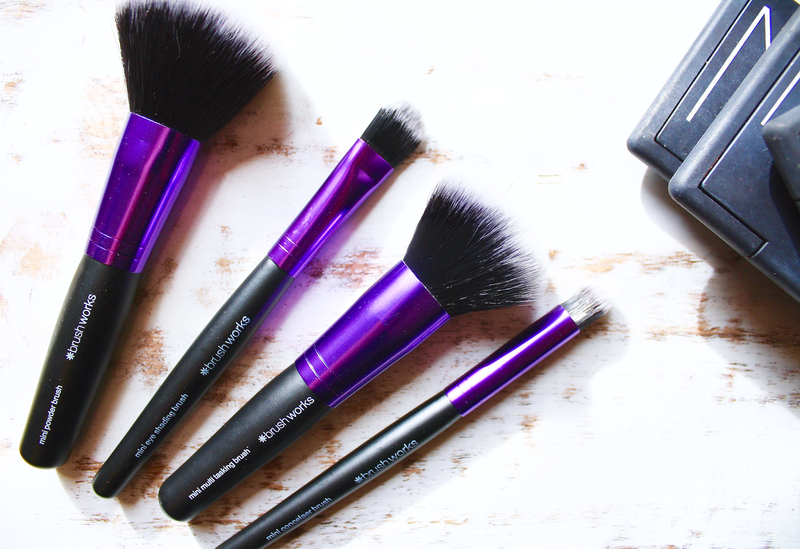 The set itself comes with a multi-tasking brush (the all-rounder), powder brush, concealer brush and eye shading brush. Admittedly, I was most excited about the concealer brush and eye shading brush as I will most likely end up using the pair of them for my eye products. I love having a larger collection of brushes to use on my eye area as it means I can be a lot more creative with applying different eyeshadow colours throughout the week, without the risk of mixing shades that shouldn't go together, before giving all of my brushes a proper cleanse on a Sunday afternoon. The brushes themselves are very soft during use and they are also fairly small in size; this brush set would be an excellent kit to take away if you were a frequent traveller and didn't particularly want to take your whole brush collection with you during even trip. This set offers just what you would need in a minimal kit on a daily basis to cover all aspects of your makeup application and their sizing would make them easy to pack when travelling too. Naturally, as the price point is lower than that of other brands, there will be a few differences in the quality of the products. I did notice that there were a few stray brush strands which poked out above the others in two of the brushes but this is something that I think you could overlook somewhat for an entry level brush set. I think that this set would be perfect for either travelling, which I've touched upon, or for ladies that are new to makeup application, perhaps even for everyday school/college makeup to get the gist of using brushes to apply each product. 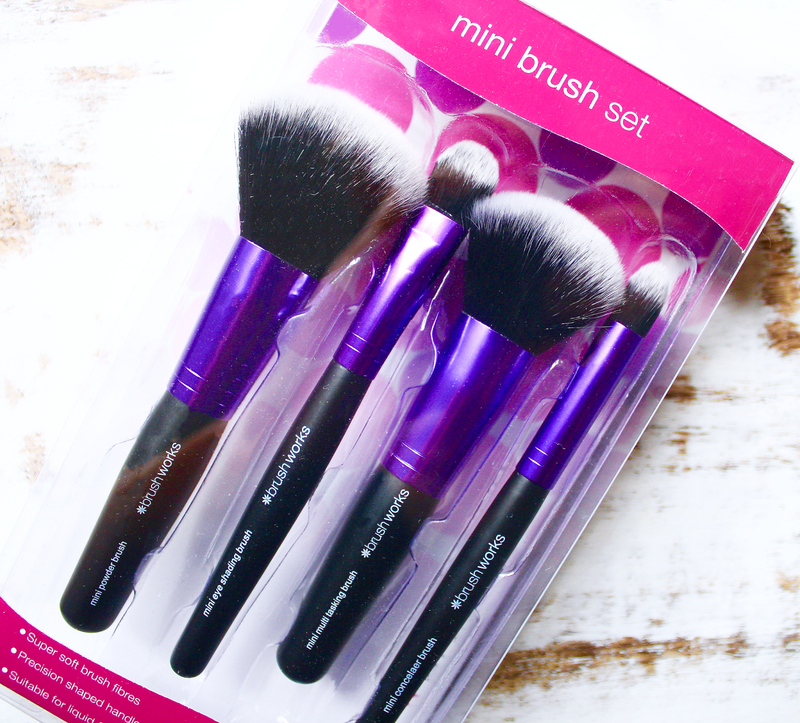 The brushes do exactly what they advertise and for the price point, it is a great little entry level makeup brush kit. There are alternative brush sets on the market that I prefer the physical appearance of, what with rose gold metal detailing and branding, however for a kit to use on the go, I think this is a great find and serves its purpose. Omg these are so adorable! I'm always on the go and these would come in so handy, they're so afforadble too! :) It's nice to read such an honest review! These look great, and perfect for on the go too!